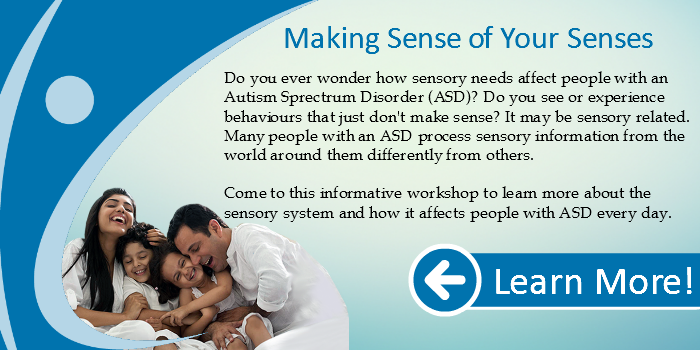 Do you ever wonder how sensory needs affect people with an Autism Sprectrum Disorder (ASD)? Do you see or experience behaviours that just don’t make sense? It may be sensory related. 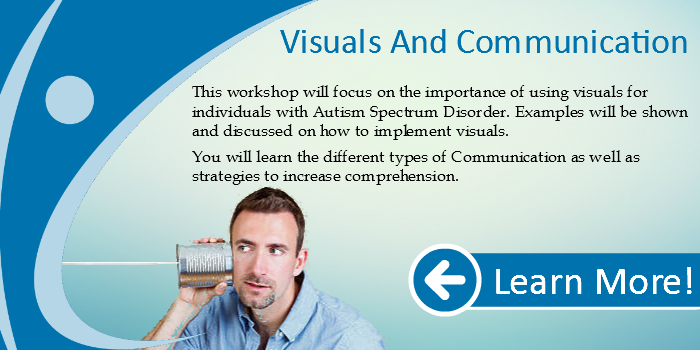 Many people with an ASD process sensory information from the world around them differently from others. 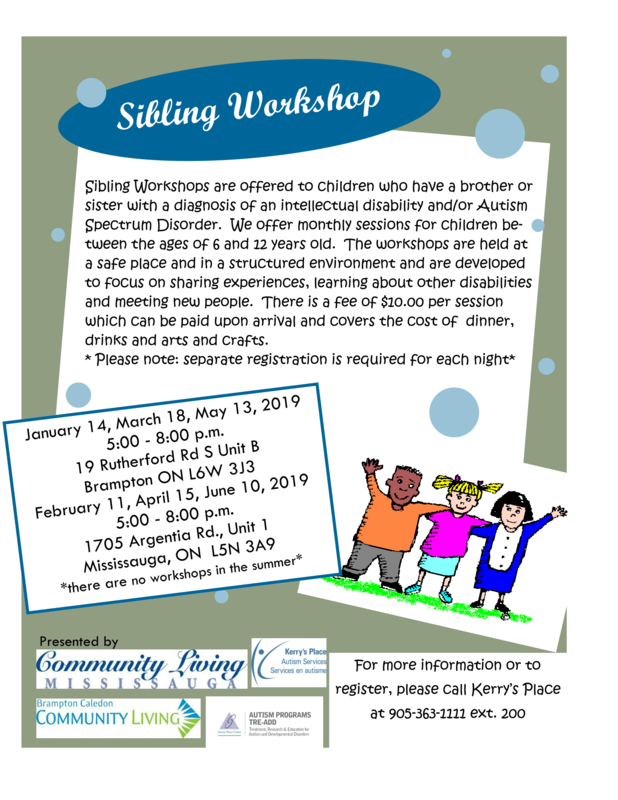 Come to this informative workshop to learn more about the sensory system and how it affects people with ASD every day.